Sweet baby Rhett. Look at this handsome little devil. This little guy belongs to me, Shannon. Well, and Daryl, my husband. 🙂 Almost one year ago I came up with an idea for an alternative to the typical one year old cake smash. 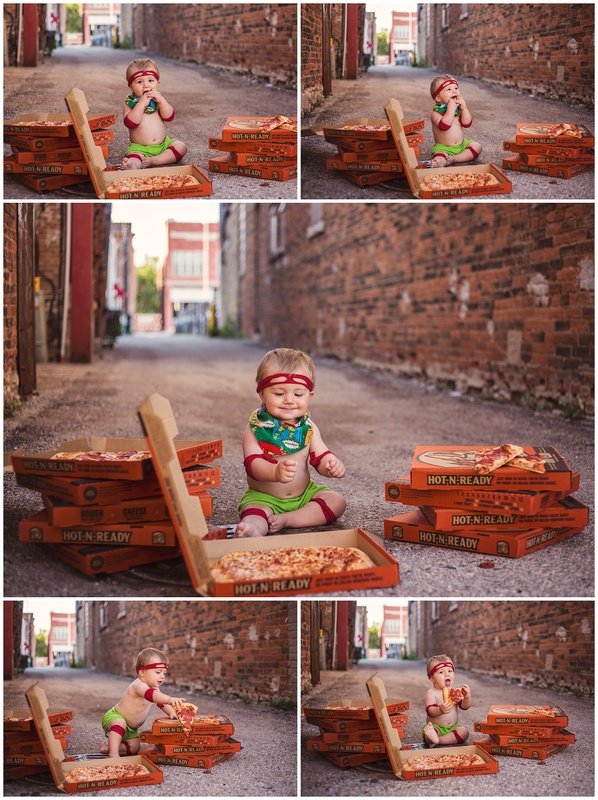 When Rhett was a newborn, I surprised Daryl with a TMNT newborn picture and then did it again at 6 months. It was only natural that I did one for his one year too, to finish off the year. A pizza smash it was!! Also, for all of you wondering…no. 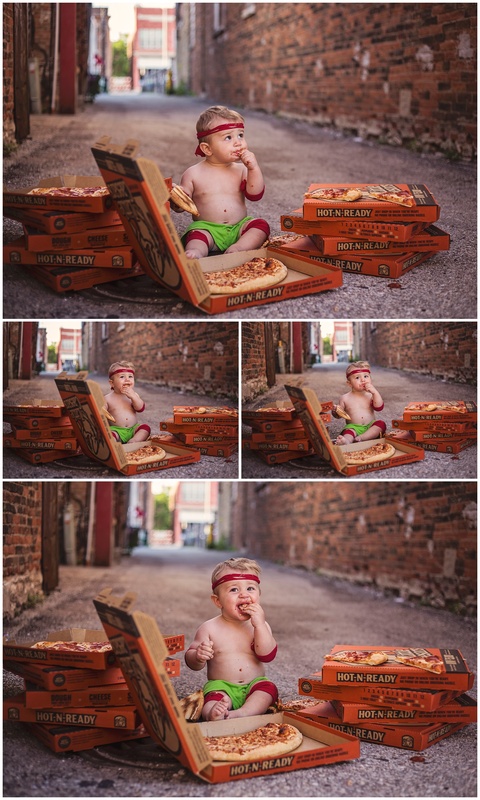 Those are not ALLLLL pizza’s in those boxes. We bought some empty boxes from Little Ceasars. And I can promise you that the employees were suuuuper confused by this request, lol. 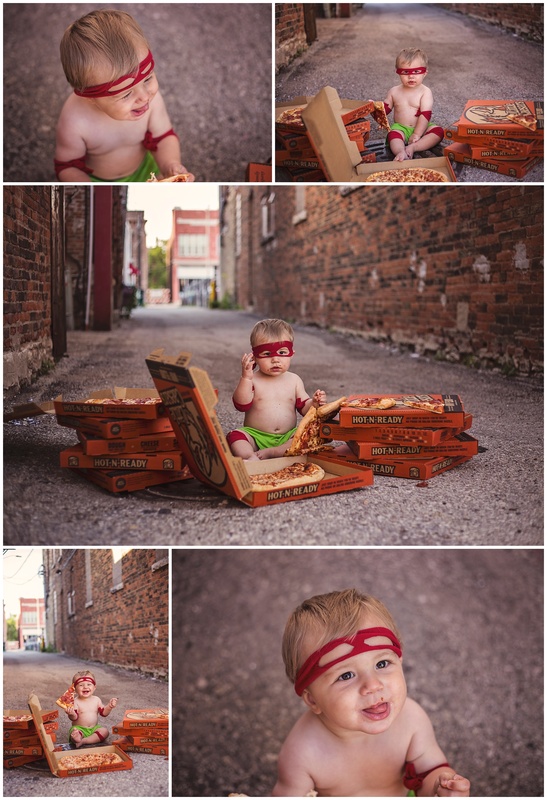 I have a fun one planned for his two year pictures that is not TMNT related, but should be equally as adorable. I think. I hope. HA! Stay tuned in end of June/July for those ones.